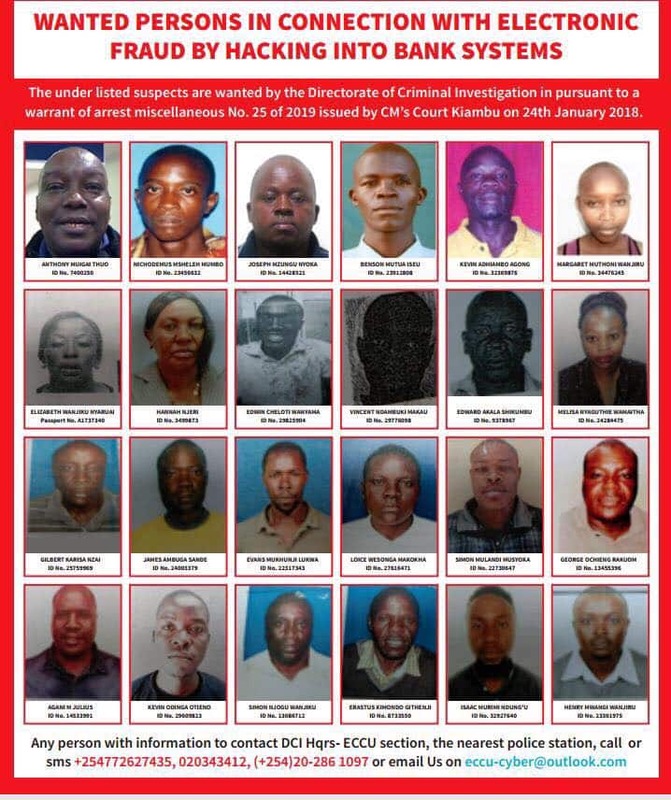 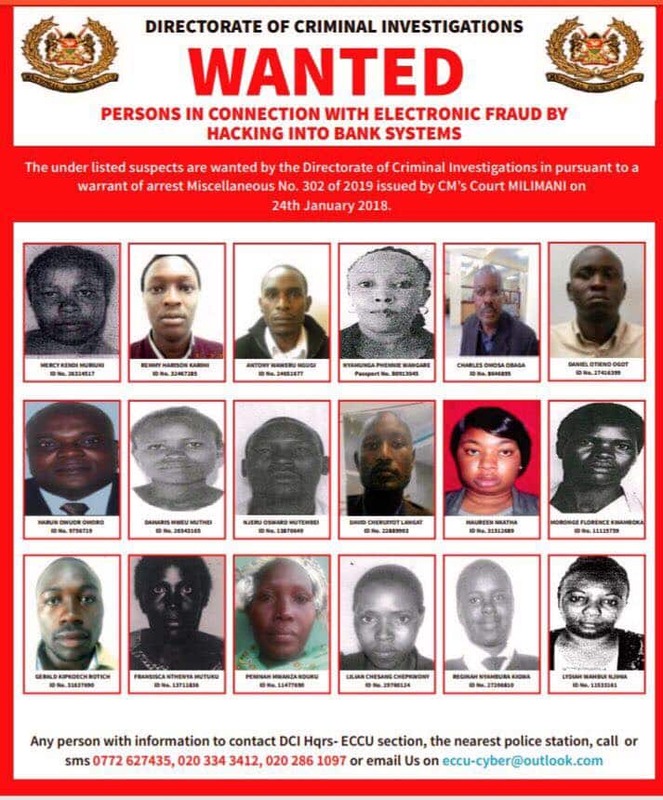 Detectives from the Directorate of Criminal Investigations (DCI) have exhibited over 100 people wanted in connection to obtaining access to bank systems illegally. 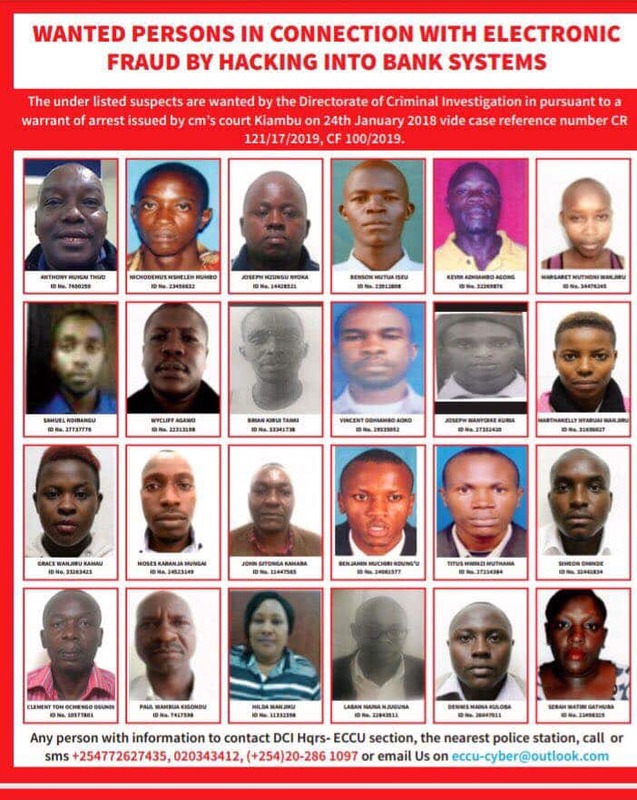 The detectives pleaded to anybody with information about the parties to contact police on +254772627435, 0203343412 & (+254)20-2861097 or send a direct email on eccu-cyber@outlook.com. 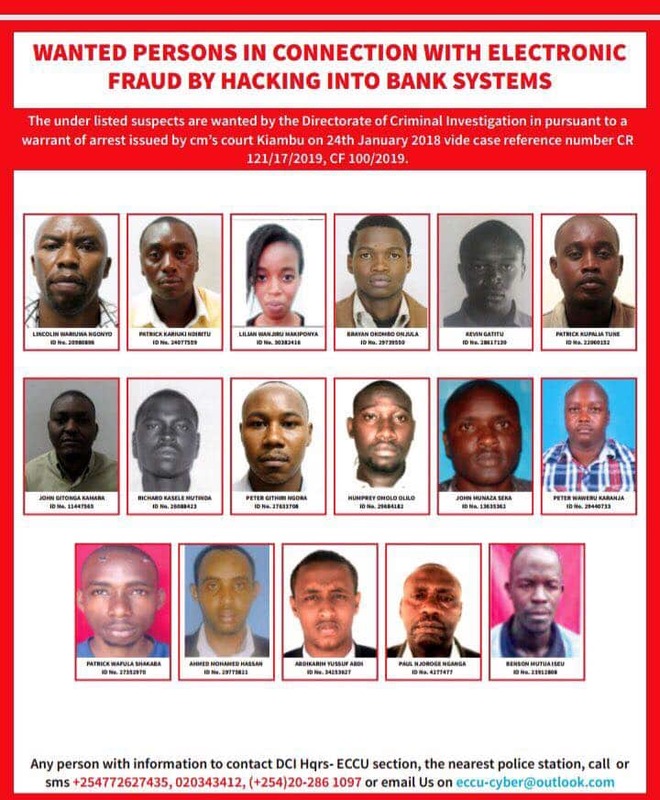 One of the banks that has been on the spotlight over unauthorised transactions is Equity Bank Kenya which encountered fraudulent activities which were recorded with Kenyans still waiting for action from the lender and DCI. 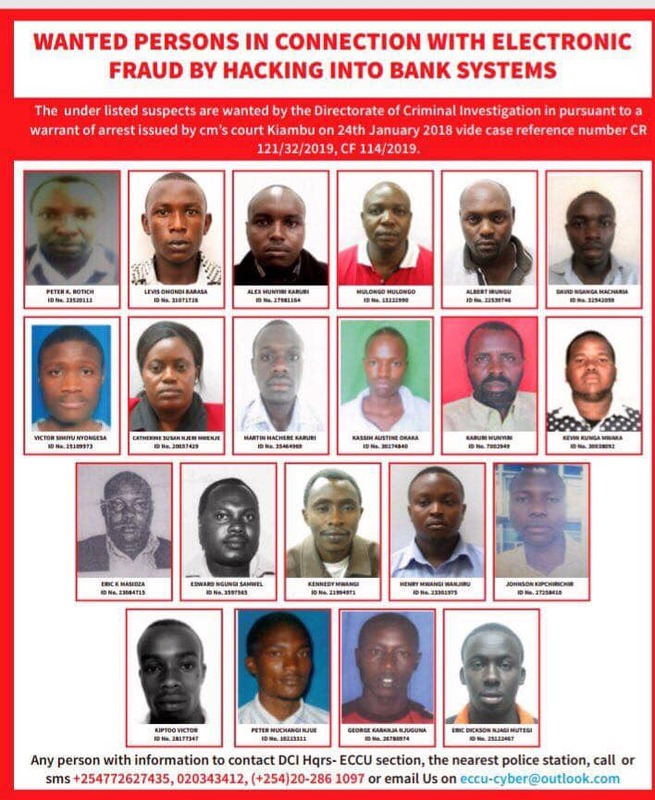 The lengthy list of suspects issued by the detectives proposed questions on the safety of money kept in banks provided in the recent past, customers have been reporting numerous cases of malicious transactions in their accounts.